Natasha Mazzone says the Bowmans report recommended that the Cape Town mayor be charged for interfering in city tenders. 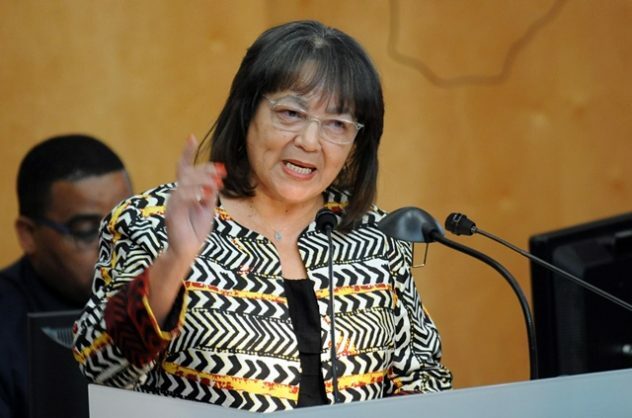 The Democratic Alliance (DA) on Monday announced that it would charge outgoing Cape Town Mayor Patricia de Lille under section 119 of the Municipal Systems Act. The party’s announcement that it would press charges follows a defiant appearance by De Lille at the Cape Town Press Club on Monday, where she told reporters she would lodge a court application to have the report set aside. De Lille was vague as to whether she would quit her post on Wednesday, as agreed with DA leader Mmusi Maimane, telling reporters that she was hoping to approach the courts by Wednesday and handling the situation on a day-by-day basis. “Patricia De Lille’s address at the Cape Town Press Club this afternoon confirms what the party has suspected Ms De Lille will do everything in her power to evade accountability for the governance failures she has presided over,” Mazzone said.